Fresh olive oil, fresh calendula and rosemary combined with beewax, propolis, honey makes this cream a product of highest quality for which it got patented. Use calendula cream for skinissues like rushes, burns, cuts, wounds, fungus (body/nails/genetical area), general irritation of skin, sunburns, sun allergies, for internal and external use of haemmorhoids & bad circulation in legs and feet. Use the cream for whole body care of babies and children. If facial creams seem to bother you than calendula will be the right choice! 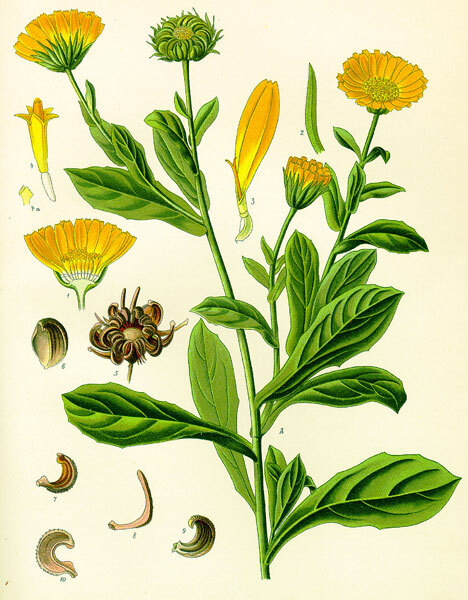 AT THE SAME TIME THE CALENDULA –FLOWER HAS AN INCREDIBLE HEALING-FORCE. HAVING NO SIDE EFFECTS, IT CAN BE USED BY PEOPLE OF ALL AGES. SPECIAL AND CAPABLE OF HEALING A BIG VARIETY OF SKIN-PROBLEMS.